Let Holmes Travel manage your Business Travel requirements. Holmes Travel provides high quality business travel services to a wide range of corporate customers. Whether you are an individual business traveller or a large multinational organisation we tailor our travel solutions to match your exact requirements. 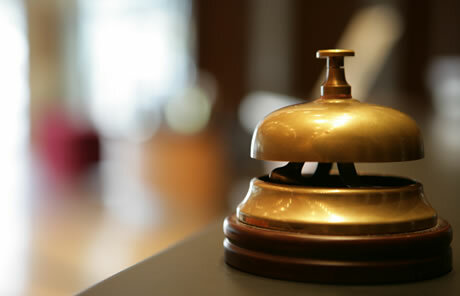 A dedicated member of staff is assigned to each account who will personally handle all aspects of your travel needs. Our account managers have extensive corporate agency skills and pride themselves on finding the most cost effective travel solutions for their clients. Between us you’ll get the best of Amex, Trailfinders, Hogg Robinson, Fred Olsen and some home-grown talent too. As well as IATA and ABTA accreditation we have an ATOL tour operator licence which allows us access to an extensive range of fares and our expertise and knowledge means that we are able to source the best deals available in any class. We know the rules and can often find solutions to overcome airline restrictions, assist in late changes to reservations and handle complicated itineraries. You can rest assured that Holmes Travel will take care of all the arrangements allowing you to concentrate on your business objectives. Holmes Travel are here to help so please give us a call the next time you are called away on business and see what we can do to make your travel arrangements stress free and cost effective. The efficiency and speed at which all requests are dealt with by the team at Holmes Travel is impressive. Nothing is too much trouble and when the travel needs are last minute, the level of customer service is exceptional. It’s a pleasure working with the team and no matter who you talk to, they are all aware of our company’s existing travel enquiries. Holmes Travel never forget the finer details with each booking and this makes for an extremely smooth working relationship and more importantly, satisfied travelers. Utopia Tableware have employed the services of Holmes Travel from our inception in 2000 and during this period Holmes have exclusively carried out all aspects of our turnkey travel requirements. Our company has grown significantly during the last 10 years and now sources products on a global basis with many people travelling constantly throughout the year and we can unreservedly say that the service we have received from John Ferguson and his team has been consistently superb, both in relation to the cost effectiveness of their flight and hotel bookings, and the excellence of their customer service and communications. Holmes simply will not take no for an answer from their associates when they are attempting to facilitate our (sometimes late!!) requests for travel arrangements, they have quite frankly never ever let us down. A recent example was when the “Ash Cloud” threatened an important trip. Within 24 hrs of knowing there was a potential problem they had found three different solutions for us to consider- quite simply magnificent service!! It is always a pleasure to engage the services of Holmes Travel and we look forward to many more years of co-operation with them. Mark Rammell Utopia Tableware.